If you are a beginning Forex trader, then there is a chance that you have only a very vague idea of what it means to calculate risk accurately. Even a large number of experienced traders do not take the time to correctly calculate the risk to reward ratio of each trade before placing an order with their Forex broker. In this lesson, we will explore the idea of risk to reward ratio so that you can better understand how important this concept is to your overall money management strategy. You will learn how to properly calculate risk vs reward in your trading like a professional trader. If you are novice trader, then you might have the experience of initially making some consistent profits, only to have that one bad trade, which eventually wipes out all the profits from those earlier profitable trades. This phenomenon is not very uncommon among inexperienced Forex traders because they do not understand the importance of Forex risk management. For example, you have randomly decided to set a profit target three times your initial stop loss, a risk to reward ratio of 1:3. But, what if your strategy is not capable of delivering such a risk to reward ratio in the long run? In that case, you will eventually lose money. On the other hand, if your trading strategy is capable of delivering trades with a 1:5 risk to reward ratio, but you usually close the trade once your profit reaches only two times of your initial stop loss, then you are always leaving money on the table. Hence, you should spend a lot of time back testing your strategy and try to find out the realistic average profit your trading strategy makes on each trade relative to the stop loss it requires. Only then can you can properly understand the relationship between risk and reward and successfully conduct a forex risk reward analysis for your particular trading strategy. Your risk (50 pips) for a reward (100 pips) would equal: 1:2 risk reward ratio. Also in real trading, you need to consider the spread charged by your Forex broker to conduct the risk and reward analysis effectively. If you do not pay attention to the spread, you will end up using a risk to reward ratio for your trades that is not completely accurate. For example, if you are a scalper who likes to risk a maximum of five pips per trade and aim to gain around ten pips from each of your trades, and think you are achieving a 1:2 risk to reward ratio, then think again! 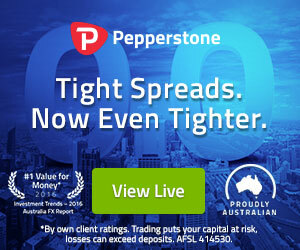 If your broker charges 2 pips spread on EURUSD, then you are effectively risking (5 + 2 =) 7 pips to make (10 – 2 =) 8 pips of profit, which means your net risk to reward ratio in reality is only 1: 1.14 not 1:2 which you incorrectly assumed because you did not take into account the transaction costs. So essentially based on this example, Your risk (7 pips) for a reward (8 pips) would equal: 1:14 risk reward ratio. You do not need to be a math genius to figure out that it would require a lot higher win rate to compensate for this huge risk to reward ratio difference due to spreads, right? While the effect of spreads is most severe for scalpers and day traders, this effect generally gets more diluted for swing traders and position traders that tend to trade on higher timeframes. Imagine if you were trading currency cross like GBPJPY, and your Forex broker charges a five pip spread. Such a high spread could easily distort the actual risk to reward ratio of your trades beyond recognition, especially if you set narrow stop losses and profit targets while scalping. Let’s now look at the example trade in figure 1 below. If we calculate the risk to reward ratio of a trade that has 100 pips stop loss and a 200 pips profit target, this time, our calculation should yield an entirely different outcome. Let us again assume that the spread for GBPJPY is five pips. 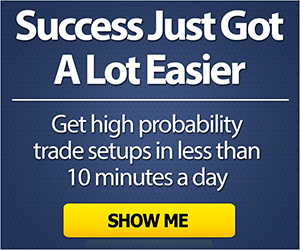 (100 + 5 =) 105 pips risk and (200 – 5 =) 195 pips reward = 1: 1.85 risk reward ratio. As you can see, the spreads charged by your broker would have had a minuscule effect on the RVR calculation, as the risk to reward of this trade would remain pretty high, at 1: 1.85. This is one of the major advantages of higher time frame trading. Hence, if you are a swing trader or position trader instead of a scalper or short term trader, the negative effects of spread as a transaction cost would be much lower to your bottom line. Aside from understanding the overall risk to reward ratio of your trading strategy, you also need to figure out the impact of win rate, which is an integral part of the risk to reward ratio analysis. If you already know the historical risk to reward ratio of your trading strategy from back testing, there is a simple formula you can apply to figure out what kind of win rate you will need to maintain to remain profitable in the long run. 1 ÷ (1 + 1) = 0.5, which is 50%. So, you need to maintain at least 50% win rate in order just to break even. With this trading strategy, if you maintain a 55% win rate, you should be profitable in the long run. But, if your win rate comes down to even 49%, you can be confident that this trading strategy will become suffer, meaning regardless of short-term performance, in the long run, you will lose money. However, if your trading strategy has a win rate of only 50%, but it can deliver a risk to reward ratio of 1:2 on a consistent basis, you would end up making a 50% return on your investment just by risking 1% of your capital in a series of 100 trades. If you already know the win rate of your system from extensive backtesting, but yet to figure out what kind of risk to reward ratio you will require to remain profitable in the long run, then you can apply another formula to find out the necessary risk to reward ratio. As you can see by now, the win rate of your trading strategy plays a vital role in the overall risk reward equation. Manually calculating risk to reward ratio could seem like a tedious process at times. You can use a simple calculator to find the effective risk to reward ratio of your trades, or you can use several tools to simplify the process, including a Microsoft Excel sheet or an online FX risk reward calculator. However, beyond that there is a much easier way to do the RVR calculation if you are using a charting software like MetaTrader 4. If you search for “mt4 risk reward indicator” on Google, you will find some custom made indicators coded by fellow traders who are generous enough to offer these as a free download. In addition, there is a built-in tool in most charting softwares, including MetaTrader 4, namely, the Fibonacci retracement tool that you can use to effectively calculate the risk to reward ratio of your trades. While most Forex traders use the Fibonacci retracement tool to calculate the Fibonacci levels of a significant price swing, with slight modification to the retracement levels, you can use it to visually identify the risk to reward ratios as well. In MetaTrader 4, you can add custom extension levels like 2, 3, 4… and so on. Just label the extension level 2 as RR 1, 3 as RR 2, and 4 as RR 3 as shown in figure 2. Please note that these levels would not represent Fibonacci ratios and only serve as a visual reminder about the potential risk to reward price levels of the trade you are about to take. Then plot the Fibonacci retracement tool upside down, where level 100 will be your entry point, and level 0 will be your stop loss. In figure 3, we have plotted the Fibonacci retracement tool with custom extension levels on a bullish pin bar, where the entry was the high of the bar and the stop loss was at the low of the bar. As you can see on the price chart, the extension level 2 served as the effective risk to reward ratio of 1 and extension level 3 served as the effective risk to reward ratio of 2. Using the Fibonacci retracement tool with these custom levels, you can easily visualize at what price level your trade will yield a specific risk to reward ratio. Pretty neat, right? It is not that difficult to master the idea of risk to reward ratio once you understand the basics of how it works. But, many professional traders tend to use risk to reward ratio a bit differently than some newer Forex traders. First, professional Forex traders generally do not always stick to any predetermined risk to reward ratio, which many popular trading books advocate. These traders have taken the time to thoroughly backtest their preferred trading instruments to find out the historical win rate of their strategy based on various risk to reward ratios. Instead of fixating on a random risk to reward ratio like 1:3 or 1:2, experienced traders tend to use extensive data analysis to define what risk to reward ratio is suitable for a given trading strategy. Furthermore, professional Forex traders understand that just setting a large profit target and small stop loss does not give them a valid reason to enter sub optimal trades. Instead, seasoned traders judge each trade based on its own merit and only open the trade once all of their strategy criteria has been met. Regardless of how you calculate the risk to reward ratio, either by manually using an old-school calculator, or other preferred method, it is imperative that you take the time to access the risk vs reward prior to initiating any potential trade. Hence, I would suggest that first, you try to correctly understand the relationship between risk to reward with your particular trading strategy. Then, you should spend the required time conducting extensive backtests to find out the best risk to reward ratio for your particular method. Once you find a suitable combination, calculate the respective required minimum win rate based on the risk to reward ratio, so that you can keep an eye on these metrics.